Surfing has evolved far past its cliche roots as it developed into a globally recognized professional sport. The future leads to the Olympics, making surfing a sport fit for a worldly arena with surfers now being recognized as the top-tier athletes that they are. Summer Camps are a safe place outside of school where kids and teens make new friends, forge lasting memories, and learn new skills. Positive mentors and role models in the form of professional coaches are invaluable within camps, because it is an environment where children grow and inherit lifelong values. Are your kids influenced by cell phones, social media, video games, movies, and other media that surround us daily? Does the amount of time spent on technology shape their perspective, habits and lifestyle? 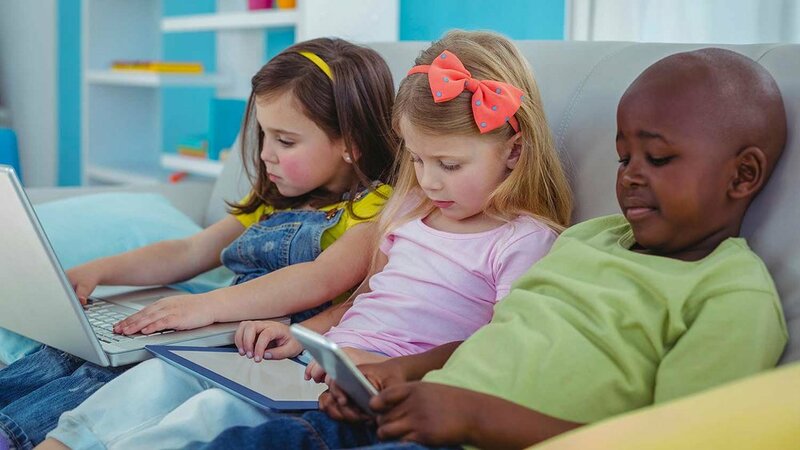 Kids from the ages of 8 - 12 spend up to 30 hours per week watching TV programs, or playing games on an electronic device. The numbers rise with teenagers, as they devote roughly 45 hours per week to entertainment on screens, splitting their time between a laptop, tablet, and their phone. During formative years, youths are impressionable and absorb influences from the sources around them. Kids pick mentors, icons, and role models (besides their parents). Whether it’s a sensei, a coach, a teacher or a camp counselor, parents can help choose/guide their kids to positive figures and influences through enrollment in camps, sports, and extracurricular activities. Often overlooked and undervalued, is the significant role summer camps play in the development of kids and teens. They may instill a love of the outdoors and a sense of independence, which may help youths learn to embrace a balance between video games (media) and palm trees (nature). With Aqua Surf, students also diversify their peer group by spending time with a variety of age ranges and an array of people from different backgrounds (e.g. campers visiting from abroad). Aqua Surf summer camps give kids and teens freedom and a sense of personal responsibility that their coaches instill as they advance in their surfing. From riding waves with instructors, to being in control of their own surfboard, and eventually catching their own waves. The growth process is astounding as students naturally mature through our surfing program. Our expert coaches guide our students through summer as each camper develops at their own rate. The team reinforces key formative ideologies like: the importance of sharing, kindness and honesty, encouraging and supporting others, behaving with integrity, and being respectful. These values are taught as campers play beach games, surf, swim, or are being responsible for their surf equipment. Instructors give motivate, support and cheer on campers, while offering positive feedback on how they can improve their surfing. The summer camp job goes beyond that of a counselor/instructor that watches kids. It is our position that camp counselors must be positive and healthy role models, because shape our future generation. That’s why Aqua Surf is privileged to invest money and time in recruiting, hiring, and training employees that match our values both in and out of the water for our summer camps. Camp is where memories, friends, and adventures are had when outstanding mentors lead. We encourage parents to continue discovering camps and programs that support their kids during summer, because it is an unparalleled time of growth, treasured self-discovery, and unforgettable fun for kids. Consider SURFING as a Way of Life? When you think of surfing, what’s the first image that comes to mind? It’s probably big waves, VW Buses, gorgeous beaches and “surfer dudes” with blonde wavy hair. No thanks to Hollywood, most people imagine “surfer dudes,” as super laid back, without a care in the world, and constantly saying “tubular” or “radical”. Yes, surfers have an ease about them, but that doesn’t mean they’re irresponsible, or less involved in life. Surfers, and the industry as a whole, has evolved from typical clichés into a respected sport and multi-billion dollar industry. Everyone from CEOs, famous actors, accountants, artists, moms and dads, real estate brokers, and elementary to university students have found a place in the lineup. Occasionally there’s a blonde surfer dude saying “gnarly brah” way too often who reinforces old stereotypes. Nonetheless, people coming from all walks of life to appreciate the beauty of the ocean, become one with it and with one another, is the reality of our epoch. Surfing and the surfer’s style is contagious for a reason. It enhances life in a way you never knew possible. It helps people unwind, tune in and recalibrate with nature. Surfing allows people to get physically fit while smiling from ear to ear, meditate, breathe deeply, and meet new friends. It may be difficult achieving a healthy balance amidst a big city or difficult career. Surfing empowers work-life balance, unlike any sport or activity we’ve seen. A surfing session usually ruminates in one's mind effortlessly. This creates a relaxed vibrancy even if you change from your wetsuit into a suit and tie, or high heels, so you can make it work on Monday morning. Surfing feeds and nurtures people. It is a way to bring balance, fun, and the beach into your everyday life. So, the next time you’re planning a beach day, and you want to do more than soak up the sun, take a surf lesson. It might just be a one-time thing, or it could just positively change your whole life.